We all dream of meeting The One. That special someone that you don’t know how you ever lived without. While I’m still waiting to meet the man version of The One, I have found The One thing for my hair that I can not live without. Yep. It’s a teeny version of a full sized iron. My favorite is a 1/2″ size and I use it almost every day. Now, I know you are thinking every day? It is not healthy to flat iron your hair every day. I know this. You know this. But I don’t use it all over my hair. I use this baby on the front pieces of my hair. I spray a little heat protectant on a comb or my fingers, brush it through those pieces and let it dry. Then I plug my flat iron in and let it heat up for about 15 seconds and run it fast (literally 1 second or maybe 2) over the hair that frames my face. All together this takes 30 seconds. The iron doesn’t get too hot, but it still works because I’m doing the thinnest sections. My hair doesn’t get too heat damaged because the iron isn’t fully heated. 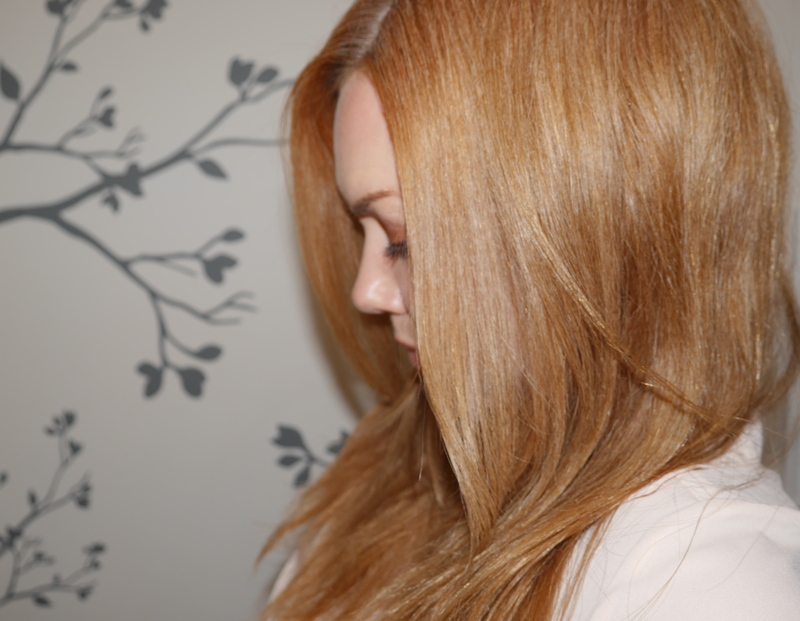 If you heat style your hair, then this is probably the step you’ve been looking for. 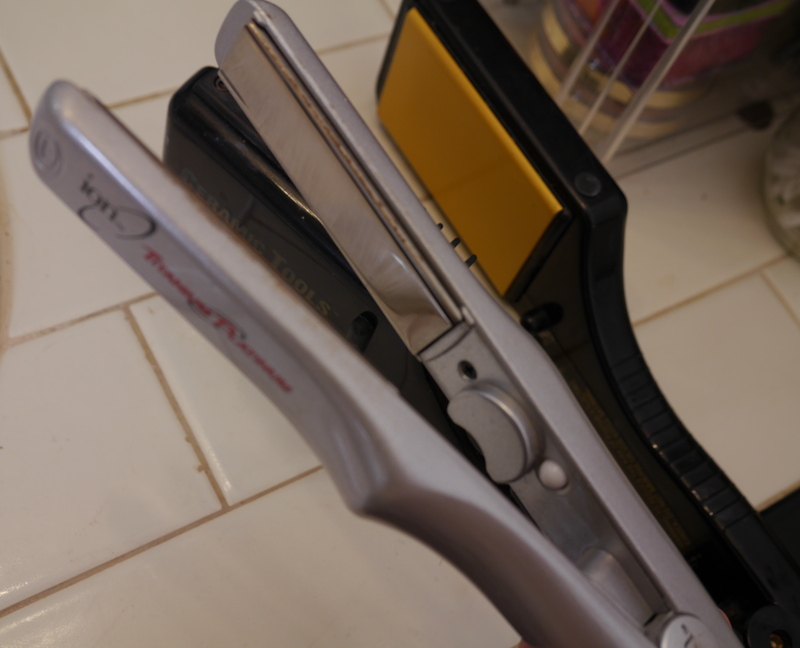 The small size allows the iron to get really close to your scalp, so you can get all the kinks smoothed out that drive you crazy because you can’t get to them with a bigger iron. But my favorite way to use this iron is when I let my hair air-dry. I straighten out any pieces of hair that dried weirdly around my face and then I put a little oil all over my ends and run whatever is left on my palms through my bangs and the top of my hair. 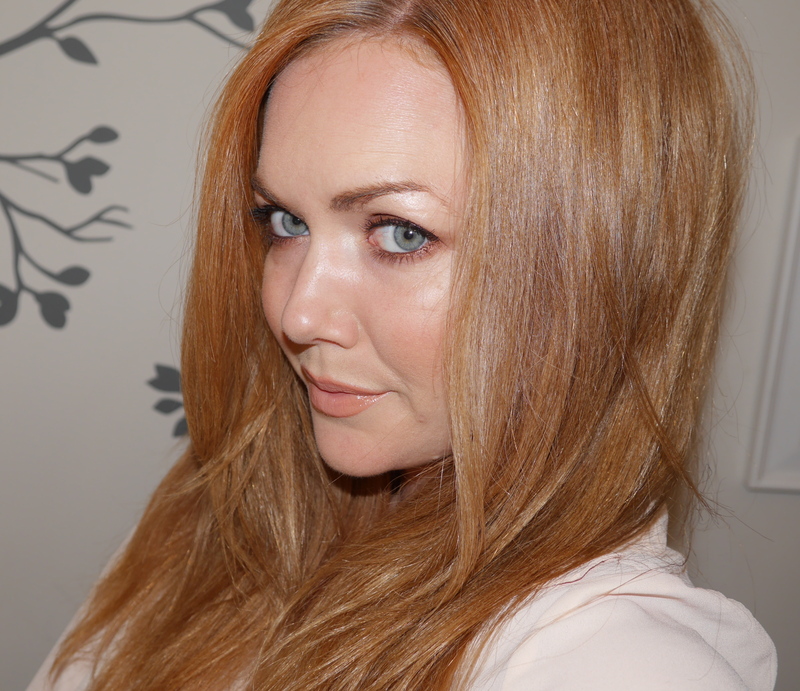 I’ve been trying to get my hair super healthy and have been letting it air-dry almost every time I wash, and this style trick lets me feel like my hair looks polished enough to go out without having to style my whole head. If I don’t straighten out the pieces around my head, I feel like I look like the 12-year-old version of myself that didn’t know that frizz was a thing you could fight. I love this routine because it’s damaging the least amount of hair while letting me look like I have some grasp of how to live life. 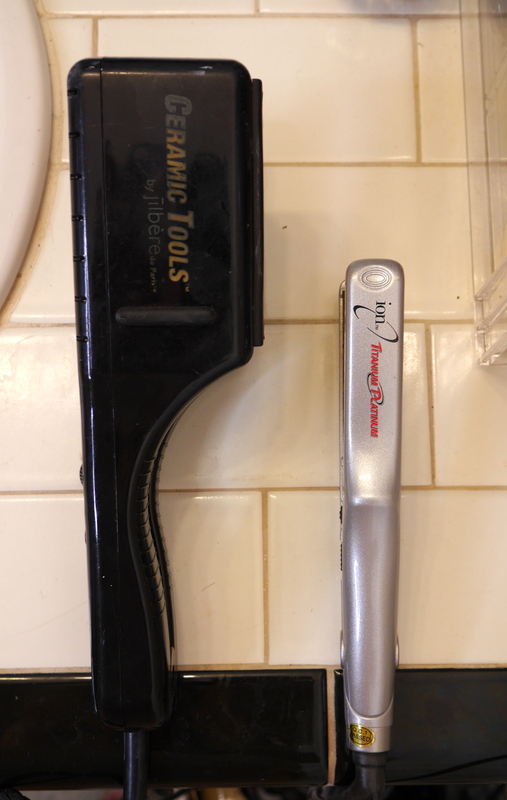 This is the one hair tool that always comes with me on vacation, no matter how little I bring. (I am a light packer, which surprises every single human that meets me, including myself.) 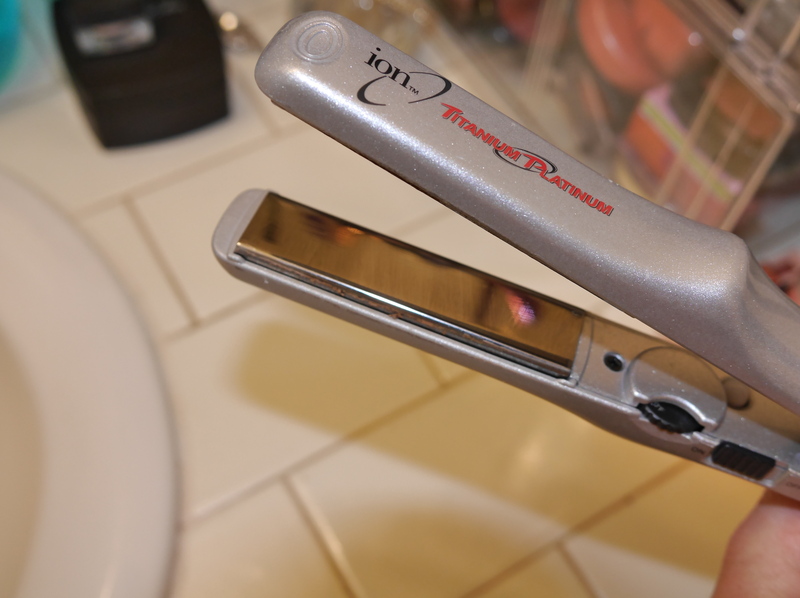 I usually throw in a curling iron too, then if I want straight hair I just use the mini iron all over. Takes a bit longer, but packing wise is really convenient. Helps blend the hair around your face into the rest of your hair. Flat ironed only the front pieces on air-dried hair. Gives a nice polish to a casual look. Thank you for reading! Please feel free to share this post on your Facebook and follow @girlgetglamorous on Instagram!